The University of Cincinnati invites applications by advanced assistant and associate professors to fill the Inayat and Ishrat Malik Professorship in Islamic Studies. The position will begin in the fall of 2019. The search committee welcomes applications from scholars in the field of Islamic Studies, with research and teaching interests in such areas as Anthropology, Comparative Religion, Arabic, Ethics, Gender Studies, History, Literature, Philosophy, Political Science, Sociology, and Theology. A Ph.D. is required, as well as prior teaching experience and evidence of scholarly excellence. The successful candidate is expected to engage in research, to teach on the graduate and undergraduate levels in their area, and to contribute, via interdisciplinary education and as appropriate, to undergraduate certificate programs in such areas as Religious Studies, Middle Eastern Studies, Arabic Studies, Asian Studies, Security Studies, and Women’s, Gender and Sexuality Studies. The successful candidate should be thoroughly knowledgeable in the Islamic intellectual tradition and in Qur’anic Studies. Enthusiasm to present Islamic teachings in multiple areas of thought and experience and in a style accessible to diverse student audiences is essential. This effort will include the presentation of at least one public lecture in Islamic Studies each academic year. The candidate should also have a track-record of engagement with the Islamic community, demonstrate a willingness to contribute to the Islamic Center of Greater Cincinnati, and be able to build productive relationships with academic partners across campus and with interfaith and cultural groups in the Cincinnati area. The tenure-track position will be housed in the department in the College of Arts & Sciences most appropriate to the candidate’s degree. Joint appointments are possible. The successful candidate will be expected to make service contributions to the mission of that department and commensurate with the position of Professorship in Islamic Studies. The teaching load will accord with that of research-active faculty. The University of Cincinnati is an equal opportunity/affirmative action employer with a strong commitment to diversity. The University is interested in qualified candidates who can contribute, through their research, teaching and service, to the diversity and excellence of the academic community, and we hope to attract applicants who have experience in promoting the success of students from diverse backgrounds. We encourage women, members of racial/ethnic/gender groups underrepresented in higher education, persons with disabilities, and veterans to apply. For full consideration, apply online at https://jobs.uc.edu (Search Requisition #31164). A complete application will include a letter of interest, a CV, an article-length writing sample, and a one-page statement summarizing your contributions or potential contributions to diversity and inclusion as they relate to teaching, research and/or mentoring. Please use the Additional Documents function to submit the required documents. Three letters of reference must be directly submitted by recommenders to history@ucmail.uc.edu. The International Qur’anic Studies Association is pleased to announce the publication of The Qur’an: A Historical-Critical Introduction by member Nicolai Sinai (Chair of Programming Committee). Nicolai Sinai is Professor of Islamic Studies at the Oriental Institute, Oxford University, and a Fellow of Pembroke College, Oxford. He has published on the Qur’an, on pre-modern and modern Islamic scriptural exegesis, and on the history of philosophy in the Islamic world. Find this publication at your local library or for purchase online at Edinburgh University Press! It is a truism that the advent of the internet has made life much easier, and this is no less true for academics than other people. One particular way in which the internet could be of use to, inter alia, historians is by making the building of huge corpora of texts much simpler. Moreover, such corpora would not only be much user-friendlier, but also only a click away from us, no matter where in the world we are. The following are several online corpora of mediaeval Arabic books that could be of use to Islamicists. The works included on these websites range from qur’anic exegesis and qur’anic sciences to ḥadīth, history, adab, and fiqh. 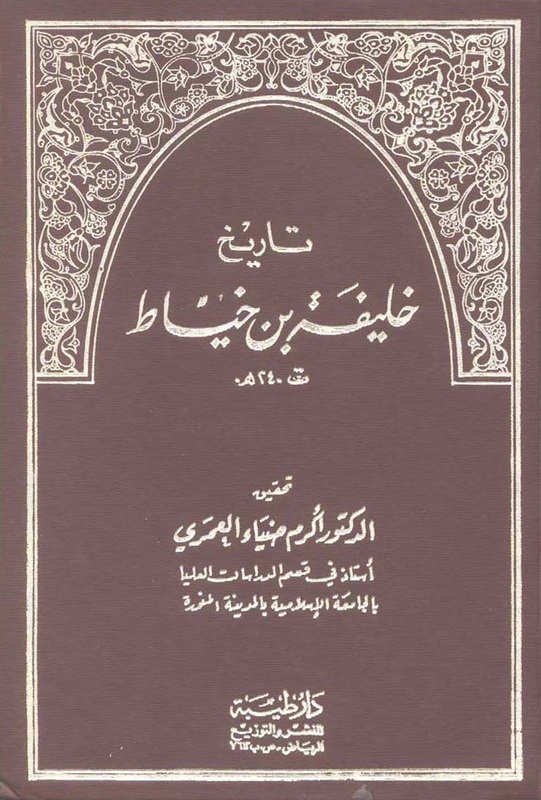 Al-Maktaba al-Shāmila is perhaps the greatest and most widely used online library of Arabic books. Books can be searched and read online. Pagination of each book follows that of the published edition used for reproducing the text. Al-Warāq. It is possible to run searches through both the whole corpus and individual texts on this website. Kitābkhāna-yi Madrasa-yi Faqāhat contains over 5,000 fully searchable digitised books. Noor Digital Library. Home to over 8,000 titles in Arabic and Persian, it is possible to run searches through the whole corpus or individual volumes. It is also possible to download a scanned version of the published texts in the members-only area of the website (needs subscription). If you know of other websites and corpora that are not listed here, please kindly post the link to them in the comments section below. Cover of Penn, When Christians First Met Muslims (University of California, 2015); http://www.ucpress.edu/book.php?isbn=9780520284944. The first Christians to meet Muslims were not Latin-speaking Christians from the western Mediterranean or Greek-speaking Christians from Constantinople but rather Christians from northern Mesopotamia who spoke the Aramaic dialect of Syriac. Living under Muslim rule from the seventh century to the present, Syriac Christians wrote the first and most extensive accounts of Islam, describing a complicated set of religious and cultural exchanges not reducible to the solely antagonistic. Through critical introductions and new translations of dozens of invaluable historical materials, Michael Philip Penn’s When Christians First Met Muslims allows scholars, students, and the general public to explore the earliest interactions between what eventually became the world’s two largest religions, shedding new light on Islamic history and Christian-Muslim relations.